My 8 year old does not like history. Her brothers live for it, but she does not. So, the real test was how she’d do with these books! She’s studying ancient history this year (which I happen to think is the best!! Egypt! Greece! All the places I want to go!) 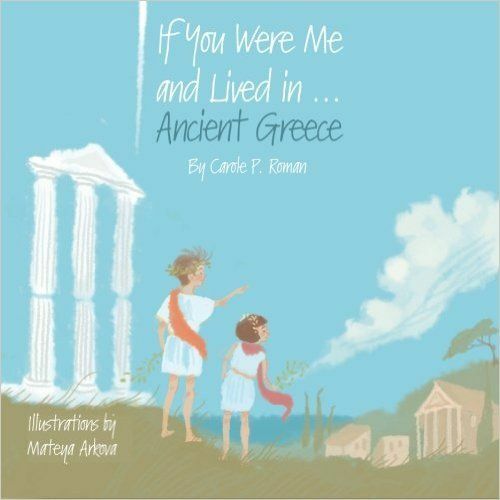 and If You Were Me and Lived in…Ancient Greece fit in perfectly with her unit of study. This book took us about a week to finish, reading a few pages a day depending on the content. My 8 year old reads just at grade level, and doesn’t really like reading, but she did like the content, and was happy to read a few pages if I read the same number afterwards (a trick we use often). She appreciated that the unfamiliar words were written in parenthesis so that she could say them easily (words like Artemis (Ar-tim-es) or lyre (ly-er). 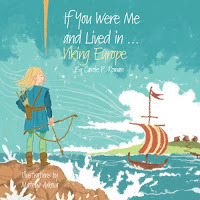 If You Were Me and Lived in Viking Europe is about a family in 870 AD. The story follows Knut Ericson. Vikings take long voyages to distant lands, drank from horns, and wrote in Runic, which you actually get to learn in the book. 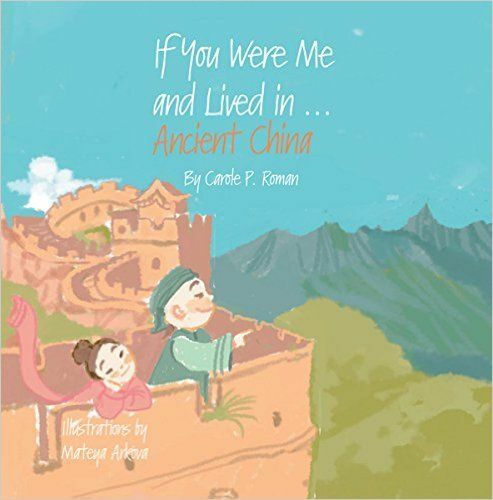 The book explains to you what a town would have looked like, names that you might have been given, social classes, and the roles each member of the family would have played. My boys especially liked the fun activities that Vikings participated in- which they decided they needed to go do as “enrichment”- things like throwing spears, shooting bows and arrows, and throwing stones as far as they could. The book also includes a little bit about the various gods that Vikings believed in, but they didn’t include any details and since my boys are into mythology we did a little library research to find some of the actual stories. The book was a done in a day for us, I know some younger children did these over weeks as a unit study, but for my 10 and 12 year old, it was a fun, quick read- even when they went outside to launch rocks. We weren’t huge fans of the pictures, which look a lot like something from MS Paint, but I think maybe the intention was for them to look like they’d been hand-drawn by the child in the story, so I get why they did them that way. This was our last book and we read it just for fun in the car on our way to an away game. The kids preferred this style of illustration- it reminded them of a cartoon they like to watch. Strangely, my younger two didn’t like that most of the pages were white type on black- they said it was “confusing their eyes” but I didn’t have an issue. 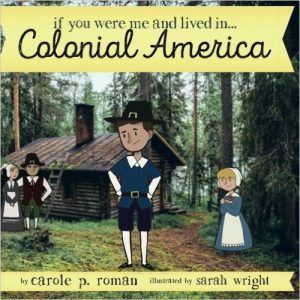 This book focuses on a family that has immigrated to Colonial America and must survive the harsh winter, build a home, and start a life in a very different place than England. The first Thanksgiving makes an appearance, so it might be a fun book to read over the upcoming holiday either in your school, class, coop, or home. These were fun to read books, and reminded me of another series based on if you lived through a particular experience- but with less focus on the gross aspects and more focus on actual lifestyle. We enjoyed them, and think you would, too.